On the heels of a tornado touching down near Airdrie, scientists in Alberta are teaming up to better understand how severe thunderstorms develop and to improve forecasts. 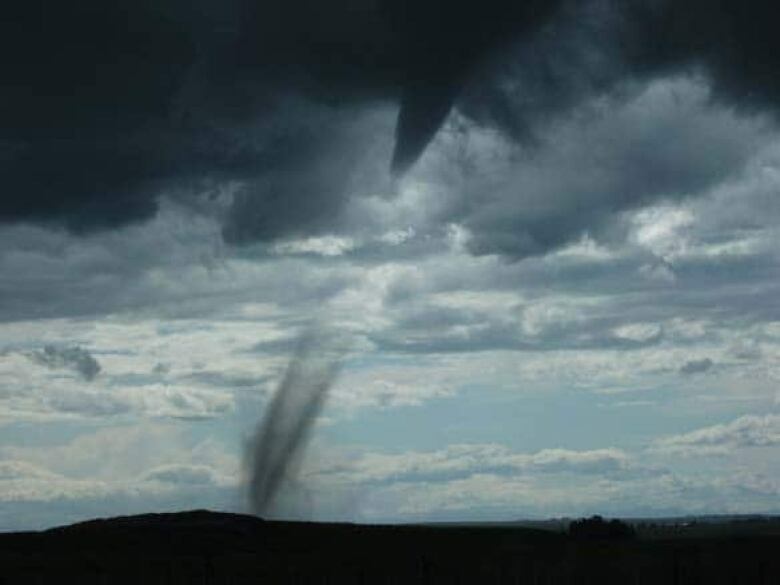 On the heels of a tornado touching down near Airdrie, scientists in Alberta are teaming up to try to better understand how severe thunderstorms develop and to improve forecasts. A team of researchers from Environment Canada, the Universities of Calgary, Alberta, and Manitoba, as well as a private company launched a two-week field study on Tuesday dubbed UNSTABLE, for Understanding Severe Thunderstorms and Alberta Boundary Layers Experiment. The study will focus on Alberta's Foothills region, which sees more thunderstorms than other Prairie areas. The scientists are using weather balloons, GPS and cloud-seeding planes, along with existing radar and satellite networks, to find out how conditions on the ground can influence storms. 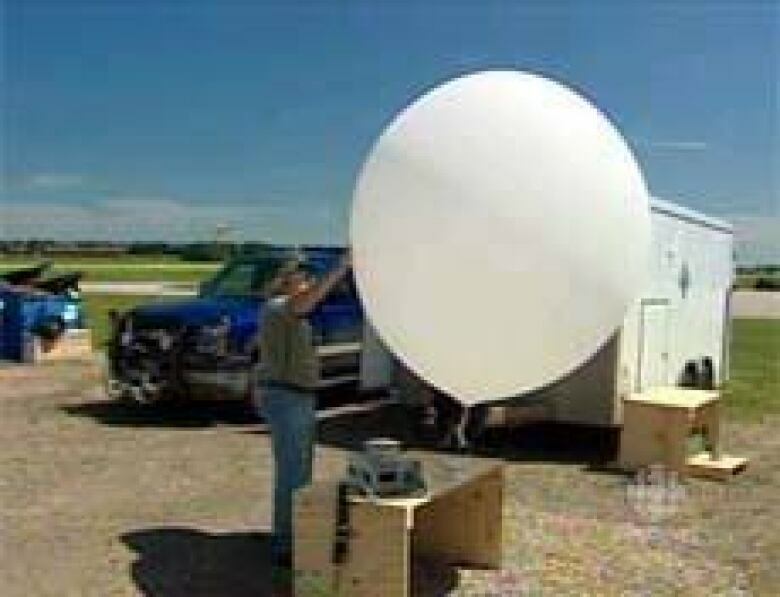 "So this project is really targeting the lowest kilometre — so maybe as high as two kilometres of the atmosphere — to really find out what's happening in that level," explained Environment Canada meteorologist Neil Taylor, standing at the Olds-Didsbury Airport, about 90 kilometres north of Calgary. "All of our data will be fed into computer models to see if we can improve the prediction of storm formation and then the tracks that they will take," said Terry Krauss of Weather Modification Inc. The ultimate goal of the pilot experiment is to improve the accuracy and timeliness of severe weather watches and warnings in the summers in Alberta. "The low-level winds create a situation where the air is almost spinning, and if you get a really rapidly developing storm, it can spin up a tornado almost instantly, and it's really difficult to provide … a lot of lead time for watches and warnings," Taylor said. Following this two-week field study, a full-scale experiment is scheduled for the summer of 2011.